Wonderful light filled unit with gorgeous skyline views available in Element! Freshly painted with new light fixtures and newer HVAC ready for you to move right in. Open kitchen with granite, newer appliances & breakfast bar, large living area & separate dining room (often used as an office). Generous bedrooms with huge walk in closets. Master bath has walk in shower & separate tub plus double vanity. Unit has 2 deeded covered parking spaces. 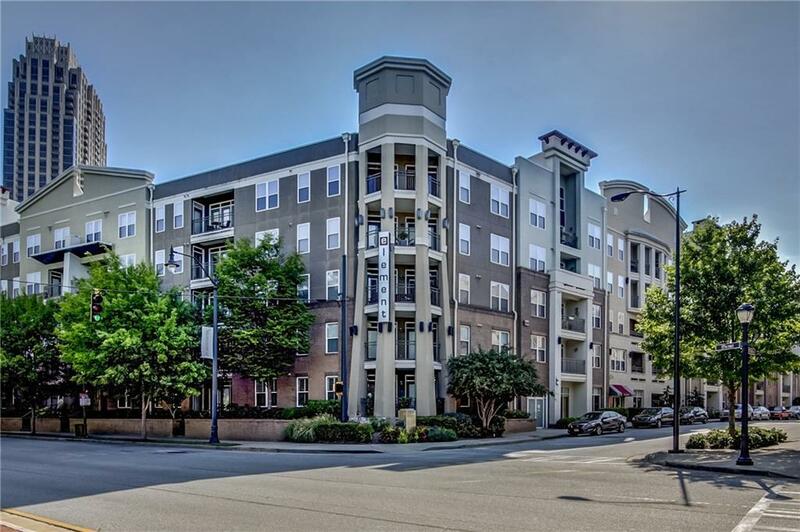 Centrally located in Atlantic Station with shopping & dining options & easy access to highways, Midtown, Buckhead & Westside. Directions: 17th Street West Toward Atlantic Station. Left On State Street - Then Right On Mecaslin. Element Lobby Will Be On Right. Best To Street Park On Mecaslin Or 16th.